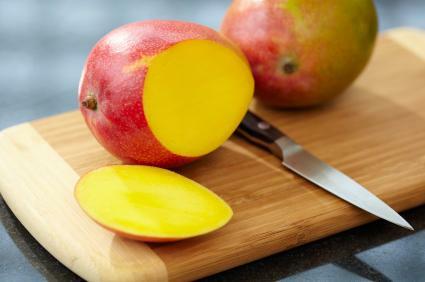 Mango is one fruit on the list. Dr. Cohen's 1st Personal Diet is a customized diet plan that is designed around the results of blood work you have done at a local lab. The plan is based on research stating that obesity is a disease caused by hormonal imbalances. Correctly combining certain foods in precise quantities will trigger serotonin, insulin and human growth hormone to be produced in the correct, balanced amounts, thus causing your body to burn fat rapidly. This is a balanced eating plan with no strange foods or diet pills. Exercising isn't even a requirement. Does this sound like something you would like to know more about? If so, read on. Dr. Cohen began his medical career as a cardiologist. Later he specialized in obstetrics and gynecology with a focus on infertility. He found a link between obesity and infertility and began an intensive study of nutrition as a result. Dr. Cohen's 1st Personal Diet has helped thousands of people, including celebrities and Miss Universe candidates, to successfully lose excess weight permanently. Today, Dr. Cohen has clinics all over the world focusing on the use of food as medicine that will assist the body to lose weight quickly and safely. While there are no clinics in the United States or the United Kingdom, the 12-week program is still available over the internet in these countries. Your menu including several options for meals along with the weight requirement of each food option. A link to the New Customer Guide which explains the program to you. A link to Dr. Cohen's recipe book that is designed especially for this program. Full support for any diet-related issue while on the program. Free updates to your plan if needed, based on follow-up blood tests performed four weeks into the program. Follow-up blood tests are subject to additional fees from the testing lab--not Dr. Cohen. If, after your 12-week program, you have not reached your target weight, you may purchase an additional 12-week program for a reduced price of $179. Typically, dieters reach their target weight within two to four months, so a program extension is not always necessary. Once you reach your target weight, you are put into the "Re-feeding Program" which teaches you how to gradually re-introduce formerly forbidden foods back into your diet. This phase lasts approximately two to four weeks. Along with re-feeding, you are also given guidelines designed to teach you to live a healthy lifestyle without gaining back the weight you have lost. This program is subject to acceptance. If your application is rejected for any reason, your money will be refunded, minus the fees for your blood tests as these are paid to the testing lab and not to Dr. Cohen. Not everyone following this diet has experienced these side effects, and all side effects were temporary. Overall, customers were tremendously satisfied with this diet plan with many losing an average of 10 pounds in their first week of the diet. Before you commit to this program you should be aware that this is not an easy diet. The diet plan is very strict, allowing only certain fruits, vegetables and lean meats in very specific amounts. You will be required to eliminate refined sugar, alcohol, milk and bread from your diet. As a bonus though, you are not required to do strenuous exercises to be successful. The recommendation is that if you currently exercise, continue. If you do not exercise, do not start. You may actually need to cut back if you are accustomed to strenuous physical activity, but as you lose weight and feel more energetic you can gradually add activities as you feel able. This is terrific news for those who find it difficult to perform exercises or who are easily fatigued from physical exertion. Of course, you will want to incorporate moderate activities as you reach your goal weight, but this based on your discretion and comfort level..